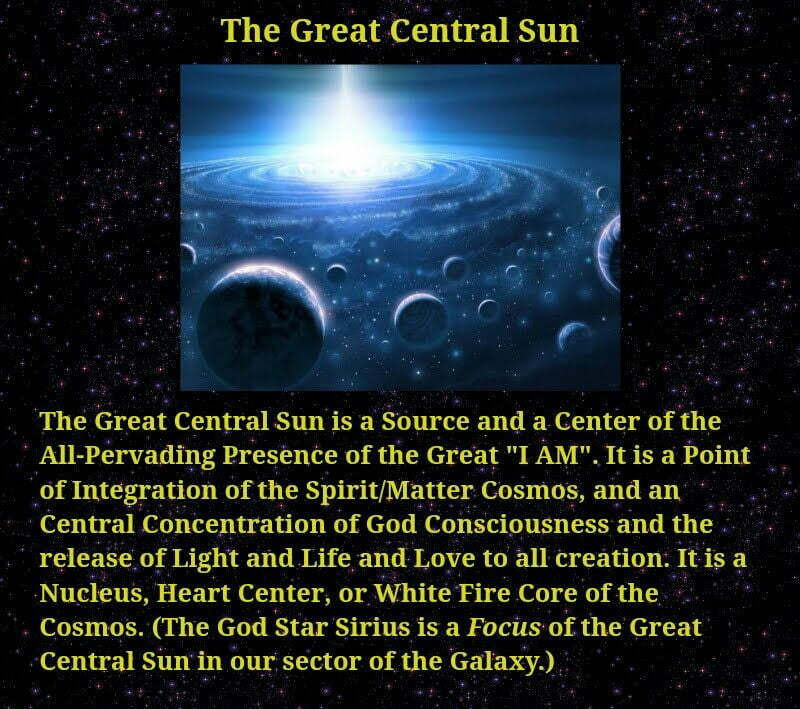 Thank you for re-posting the picture of the Central Sun. I was meditating last night and I was having trouble picturing the Great Central Sun in my mind–compared to where Earth is. That picture helps me visualize. I just wanted to make sure that we are all on the same page and that we are meditating TONIGHT, Sunday. My calendar shows the full moon on Monday but I think the eclipse and meditation is Sunday night at 12:11am Eastern Standard Time (there are a couple of typos on your original meditation post regarding the times). Thank you everyone, and Victory Of The Light!